Last June I traveled to Israel for the first time. 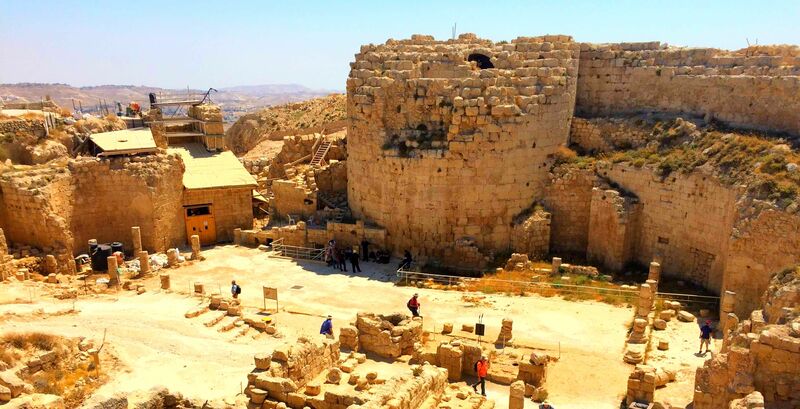 It was one of those “study tours,” a structured, rigorous trip aimed at seeing as many biblically-relevant sites as possible – and learning as much as possible. Israel. I try not to overuse the term “unique,” but it applies to this nation and its people. It exceeds my faculties and surpasses my knowledge. How does one fully appreciate such a trip? How can you capture the experience? What should I learn from it? Perhaps it would be best to start with the negative. As a Christian, I came to value my time to Israel not for an experience of place. There’s nothing particularly spiritual about being baptized in the Jordan River, as opposed to a baptismal in Washington, DC or a swimming pool in Bakersfield, CA. My heart didn’t skip a beat when I touched the rock where Jesus was likely born or the rock where he was likely crucified. And the prayers I offered up at these places, though perhaps a bit more informed than they would have been otherwise, were not exceptionally sanctified compared to my prayers in America. The hour is coming when neither on this mountain nor in Jerusalem will you worship the Father… The hour is coming, and is now here, when the true worshipers will worship the Father in spirit and truth, for the Father is seeking such people to worship him. God is spirit, and those who worship him must worship in spirit and truth. Here, man seems to be looking on the outside, but the God of the Bible strikes me as more concerned with the inside. There are competing Catholic and Orthodox churches built on most of these traditional locations, lending an aura of spiritual significance to the place. At first blush I find this off-putting. It’s as if two millennia of religiosity, conflict, tradition, and superstition have marred and obscured their original simplicity – the earthiness of the place. I want to be careful here, though. I won’t presume to search out the heart postures of the people in these churches making the sign of the cross in front of a rock. As a born-and-raised Evangelical (who happens to be Baptist at the moment), I cannot empathize well with the high-churched and their icons, incense, and relics. Perhaps these physical elements aid their worship. 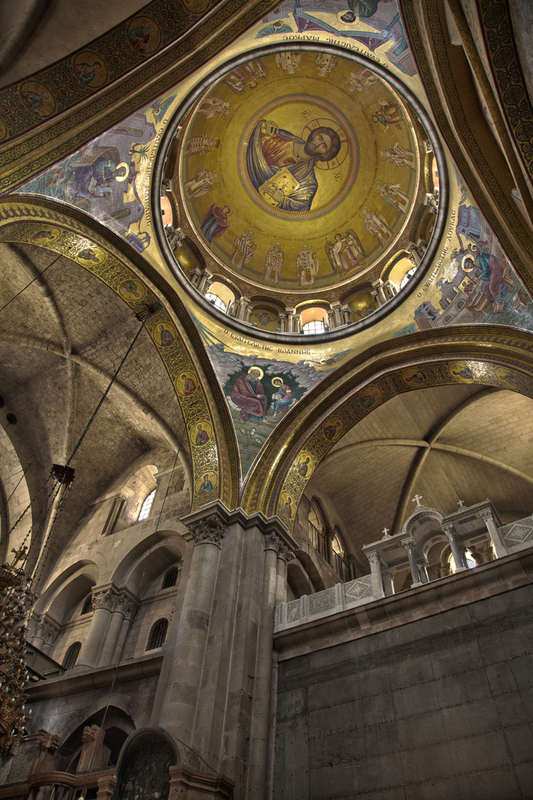 I admit I feel a heightened sense of solemnity and awe in these Constantine-era churches, but I’m still wary. They’re just rocks, after all. Be merciful to me, O God, be merciful to me, for in you my soul takes refuge; in the shadow of your wings I will take refuge, till the storms of destruction pass by. Be appalled, O heavens, at this; be shocked, be utterly desolate, declares the LORD, for my people have committed two evils: they have forsaken me, the fountain of living waters, and hewed out cisterns for themselves, broken cisterns that can hold no water. While staying on the Sea of Galilee, one evening I walked to the shore and contemplated Jesus’ Sermon on the Mount, watching as the sun set over the hills where he preached. Why should I worry? God knows what I need. The kingdom of heaven is like buried treasure. Will you sell yourself to buy the one you’ve found? When Jesus says “You are the salt of the earth,” he may have pointed to a port on the Galilee called Magdala, which was a major exporter of salted fish at the time. When he says, “You are the light of the world. A city set on a hill cannot be hidden,” he may have pointed to a real city on a hill overlooking the Galilee, the lights of which would have been visible across the entire region. After all these years, we’re so used to those metaphors. It’s easy for me to lose sight of their tangible, historical roots. Outside of the geopolitical conflicts that torment the region, we hear mostly good things about the Holy Land – the glory of Jerusalem, the richness of its history, the fertility of its fields. But I think its religious significance gives us rose-tinted glasses. Israel isn’t a beautiful, remarkable land, at least not relative to many other places in the world. It’s southern California without Hollywood, Santa Monica, or San Diego. The hills and fields around Galilee look almost exactly the same as the Grapevine that connects California’s central valley to Los Angeles. I’ve taken it dozens of times. No one drives that route for its scenery. It was not because you were more in number than any other people that the LORD set his love on you and chose you, for you were the fewest of all peoples, but it is because the Lord loves you and is keeping the oath that he swore to your fathers. God chose what is foolish in the world to shame the wise; God chose what is weak in the world to shame the strong; God chose what is low and despised in the world, even things that are not, to bring to nothing things that are. There is much theological debate among Christians over the significance of Israel today and its relationship to the church, but regardless of your position, both give us insight into God’s nature – his care for the poor and downcast, his concern for the integrity of the heart, his tendency to favor the underdog, his desire to make himself known to the world through his people, his longing to satisfy us with himself, and perhaps most incredibly, his willingness to get dirty. I don’t know for sure if I touched the exact spots where Jesus was born and died. Just as you never step in the same river twice, I didn’t swim in the same Galilee water that Jesus walked on. But that doesn’t negate the reality that he did, in fact, enter history as a flesh-and-blood man – the same history on the same planet that I am living on right now 2,000 years later. Indeed, the land of Israel reinforces that reality, standing as a testament to it. God left the abstract realm of spirituality and ideals and theory, and he came down and got in the dust and grime and corruption of the human experience. He wept and hungered and wearied and bled, so that someday we wouldn’t have to. In Israel. That’s a remarkable thing to consider.